It’s done to look for and remove any small growths called polyps. These could eventually turn into cancer if they’re not removed. The test is also called a flexible sigmoidoscopy or “flexisig”. If you’re registered with a GP and live in an area where the test is available, you’ll automatically be sent an invitation. Call the free bowel cancer screening helpline on 0800 707 60 60 to check if it’s available in your area. It’s a one-off test, and you’ll only be invited to have it once. From 60 onwards, you’ll be invited to do a bowel cancer screening home test kit every 2 years instead. You’re awake during the test. It’s usually painless, although some people find it uncomfortable. If you do have any pain, it usually only lasts a few moments. You can usually go home soon after the test is finished. You don’t need to stay in hospital overnight. It’s a gruelling decision every breast cancer patient and their doctor must consider: do we need to start chemotherapy, or could we spare you the ravages of the toxic, yet potentially life-saving treatment? After five years, 94.4 per cent of the women who did not receive chemo had no distant metastasis; their cancer hadn’t spread, found the study published in the New England Journal of Medicine on Thursday. “We found that chemotherapy with its toxic effects could be avoided in these patients,” the authors concluded. They plan to follow the women for another five years to document their ongoing survival rates. “Given these findings, approximately 46 per cent of women with breast cancer who are at high clinical risk might not require chemotherapy, they said. The risks from certain types of chemo increase with the patient’s age. The risk of leukemia is about 0.5 per cent to 1 per cent, and the heart risk can reach 4 per cent or 5 per cent in older women, Dr Freedman said. Australian oncologist Dr Guy Hingston – who pioneered access to MammaPrint for Australian women – recommended all Australian women who were about to undergo chemo should check with their oncologist to see if they would benefit from the test. “We now live and work in a different world of breast cancer management. Women already shattered with a new diagnosis of breast cancer, should not needlessly be put through chemotherapy, if genomically their cancer can be shown to have a low risk of recurrence,” Dr Hingston said. “The immediate question for many observers is this: Was withholding chemotherapy in such patients actually safe?” wrote Drs Clifford Hudis and Maura Dickler at the Memorial Sloan Kettering Cancer Center, New York. “[A] difference of 1.5 percentage points, if real, might mean more to one patient than to another. “What doctors and their patients do with the results of such testing will be highly individualised — and will inevitably be finessed by the findings from future studies,” they wrote. “MammaPrint is the first genomic test in early breast cancer that has been shown through a prospective randomised international five year follow up cohort of nearly 7,000 women to be both prognostic and predictive.” As of today, Dr Guy Hingston recommends that all Australian women who are about to undergo chemotherapy for early breast cancer should now check with their medical oncologist to see if they could benefit from MammaPrint testing. He has made this bold statement because MINDACT has shown that there is a 46% reduction in the need for adjuvant chemotherapy in the subgroup of women who have hormone positive breast cancers between 20mm and 50mm in diameter, including those with node negative or node positive disease (with up to three nodes involved). According to Dr Guy Hingston, MINDACT has shown that there is no advantage for undergoing chemotherapy if the MammaPrint genomic test returns a low risk result, as the large group of women in MINDACT randomized to receive or not receive chemotherapy obtained no statistically significant benefit in terms of 5 year distant metastasis free survival or overall survival. Therefore, Dr Guy Hingston asks why women should needlessly undergo all of the side effects, and run the risk of major complications of having chemotherapy, if no benefit is to be obtained? More information about MINDACT and MammaPrint testing can be obtained online at www.mammaprint.com.au. Back in late 2013, and to help Australian women access this new technology, Dr Guy Hingston set up a company called Genome Investigation Pty Ltd which now assists Australian women to obtain this form of breast cancer testing. Genome Investigation also commenced an application for public funding of MammaPrint through the Australian Government Department of Health Medical Services Advisory Committee. While this application remains afloat, it is Dr Guy Hingston’s view that today’s publication of MINDACT means that the Department of Health should now immediately commence funding of MammaPrint testing for those women who are eligible, after appropriate referral from a specialist oncologist. Dr Guy Hingston is an expert in the clinical management of breast cancer, with nearly 20 years of clinical experience as a specialist surgical oncologist. 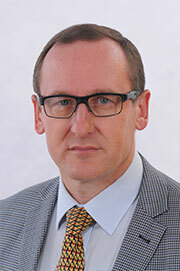 He currently resides in Port Macquarie, where he maintains a private practice in oncoplastic breast care. However, he is currently trying to establish a significant breast cancer research project through the Hunter Medical Research Institute, and is focused on establishing the genomic basis of breast cancer using next generation sequencing technology looking for the underlying somatic breast cancer mutations. He sees this as the next important practical step which is needed to help women with a new diagnosis of breast cancer. For further information on Dr Guy Hingston, please visit www.drguy.com.au. The Prostate Cancer Foundation of Australia (PCFA) and the Cancer Council Australia gathered all the disciplines involved in testing – urologists, pathologists, epidemiologists, GPs, radiation oncologists, medical oncologists and allied health professionals – and produced consensus guidelines. It took three years, it cost $1 million (although experts gave their time gratis) and its recommendations have now been approved by Australia’s highest scientific body, the National Health and Medical Research Council. Called PSA Testing and the Early Management of Test-detected Prostate Cancer, it is intended for general practitioners, working with middle-aged and older men who have no symptoms of prostate cancer but are considering having a blood test for the cancer. The PSA test measures for a protein called prostate specific antigen in the blood which is an unreliable marker for cancer but the best we have. Prostate cancer is the second-most important cause of cancer death in Australian men and these guidelines should give them the confidence to go to their GP and discuss the benefits and harms of testing before making a decision. Some of the old rules of thumb have changed. It’s known that any mortality benefit from early diagnosis of prostate cancer due to PSA testing is not seen within the first six or seven years following testing.For this reason, the guidelines recommend no PSA testing for men, with other health issues who are unlikely to live another seven years. The guidelines also say harms of testing – it can lead to unnecessary treatment which can, in turn, lead to urinary incontinence, erectile dysfunction and bowel problems – may outweigh benefits. The area is complex but their simple message is that Australian men at average risk of prostate cancer who decide to have regular testing should be offered PSA test every two years from the ages of 50 to 69. If, on this test, their PSA is greater than 3 nanograms per millilitre. The recommendation is different for those with a family history of prostate cancer who may be at higher risk and should be offered testing every two years from the age of 40 or 45 depending on the strength of the history. The removal of the standard rectal examination conducted by GPs on men without symptoms will be widely welcome. Landmark Queensland research has found almost a third of cancers could be prevented by simple lifestyle changes. Researchers found that 37,000 cancers were preventable, following research of 13 known cancer risk factors, including smoking, diet, obesity and UV light exposure. The epidemiologist said it meant if people followed the cancer council’s lifestyle guidelines they could reduce their cancer risk by a third. “There are many benefits from following the guidelines and the advice but reducing the cancer risk is one of them,” he said. “It’s quite sobering to realise that in an ideal world we could relieve 37,000 people each year of being given a diagnosis of cancer,” he said. “Prevention takes a long time. “Of 13 identified risk factors, smoking, UV radiation, body weight, poor diet and alcohol caused around 90 per cent of all preventable cancers,” she said. This user-friendly, interactive calculator is intended for use by women who have not had breast or ovarian cancer. It will help you to gain a good understanding of your level of risk for breast cancer compared to another woman of your age group. National Breast Cancer Centre* has based the questions in this calculator on the most important risk factors for breast cancer based on an up-to-date review of international evidence. It is important to remember that the results of this calculator are not a guarantee of your risk levels, and that all women are at risk for breast cancer, no matter what their risk category. Some women at increased risk never develop breast cancer, and some women at low risk may develop the disease. Intrabeam radiotherapy, which has go-ahead for NHS use, is given during surgery, eliminating need for additional hospital trips. Tens of thousands of breast cancer patients could benefit from a new type of radiotherapy which would be delivered during surgery instead of them having to take a course of treatment. Intrabeam radiotherapy has been given a provisional go-ahead for NHS use by the health finance watchdog. In draft guidance, the National Institute for Health and Care excellence (Nice) said the treatment option should be considered for people with early stage breast cancer. A single dose of radiotherapy could be more convenient for patients, Nice said. Some patients have to make 15 trips to hospital for radiotherapy, but the latest treatment could be given during breast surgery, reducing “disruption, stress and inconvenience”, the charity Breakthrough Breast Cancer said. Only a third of Australians who were sent a bowel cancer screening kit returned a sample for testing, despite the disease being the second greatest cause of cancer-related deaths. The federal government sends a free kit to eligible Australians aged 50, 55, 60 and 65, but figures released by the Australian Institute of Health and Welfare on Monday showed only 33.5 per cent of these people sent back a faecal sample for laboratory analysis last financial year. Of those who returned a sample, 7.5 per cent required a follow-up visit with a medical practitioner. Almost 4000 Australians died from bowel cancer in 2012, making it the second most common cause of cancer-related death after lung cancer. In the budget, the government committed $96 million to implement biennial bowel cancer screening for Australians aged 50 to 74 by 2020. “About 80 Australians die each week from bowel cancer, despite the fact that, if it’s detected early, it’s one of the most treatable cancers there is,” Health Minister Peter Dutton said. “Test kits were sent to 964,000 people, and about 333,000 returned a sample. The participation rate in 2012-13 was slightly lower than in the previous year, when 35 per cent of people returned a sample. The melanoma rate is plummeting among the slip, slap, slop generation, according to an 18-year study of teenagers and young adults. It shows the effectiveness of the sun safety messages, research leader Professor Adele Green said.”It has been one of the most successful cancer prevention campaigns”, said Professor Green, whose team reviewed melanoma cases among 15 to 24 year olds in Queensland from 1982 to 2010. The success would be similar for the rest of Australia, said Professor Green, who has spent more than three decades studying skin cancer at the QIMR Berghofer Medical Research Institute in Queensland. Despite the fall, Queensland still has the highest rate of melanoma in the world. For people aged 20 to 24, the rate has fallen from 25 cases per 100,000 in 1996 to 14 per 100,000 in 2010. Rates of non-melanoma skin cancer are finally dropping among younger Australians, according to a Queensland study. While the incidence of non-melanoma skin cancer continued to increase in older Australians during the period studied, the QIMR found the first recorded drop in Australians aged under 45 – down 1.5 per cent a year and more than 10 per cent over the decade – with even more rapid decreases in younger age groups. This is Great News for all working to prevent the unnecessary suffering caused by skin cancer. Dr Guy Hingston. Almost a billion people in the developing world are now overweight or obese as they start to eat like people in the West. South Africa and Mexico have higher obesity rates than Britain, while rates have doubled in China in three decades, an analysis by the Overseas Development Institute has found. People in North Africa, the Middle East and Latin America are just as likely to be overweight as Europeans after an obesity explosion, says a study of statistics from the World Health Organisation and elsewhere. Rising incomes in poorer countries account for some of the change, but that does not mean governments could not do more to stem the rising ride of obesity. One in four adults in the developing world is now obese or overweight; numbers rose from 250 million in 1908 to 904 million in 2008. Obesity has become the biggest preventable risk factor for cancer in Australia after smoking, experts have warned. A World Health Organisation report has confirmed the huge global toll from cancer, which is now the world’s biggest killer, responsible for 8.2 million deaths a year and rising. The World Cancer Report predicts that the number of cases will increase 75 per cent over the next two decades, topping 20 million new cases a year by 2025. New breast cancer research incorporating the Symphony® suite of genomic tests (MammaPrint®, BluePrint® and TargetPrint®) will be presented in 10 scientific posters at the upcoming 2013 San Antonio Breast Cancer Symposium (SABCS), Dec. 10-14. “These ten studies further demonstrate Agendia’s continued commitment to providing the oncology community and their breast cancer patients with the most comprehensive and validated picture of tumor biology available in the market,” said Neil Barth, M.D., Agendia’s Chief Medical Officer. Symphony is the only widely available test suite providing molecular subtyping — a recent advancement in breast cancer prognosis and treatment that is highlighted in several SABCS posters. The second-generation MammaPrint test provides definitive High Risk or Low Risk information about breast cancer recurrence, with no “intermediate” results. The HPV jab has halved the number of the precancerous lesions in young vaccinated Victorian women. Research shows that five years after the immunisation program started, the number of serious cervical abnormalities has fallen. Previous studies have shown a decrease in the prevalence of human papillomavirus in the population but Victorian Cytology Service (VCS) study director Professor Marion Saville said this was the first study to prove that the decline was due to vaccination. The study, published in the journal BMC Medicine, found that a population-based HPV vaccination program in schools significantly reduced cervical abnormalities for vaccinated women. One in two women are increasing their risk of breast cancer by skipping regular mammograms simply because they are too busy, according to alarming new research. Breast Screen NSW recently surveyed 1000 women aged 50-74 and found half missed their regular appointment, with most citing a “lack of time” as the reason despite 95 per cent agreeing the free screening could save their life. “Twelve women get diagnosed every day in NSW and 17 a week die of breast cancer, and many of these deaths don’t need to happen because screening can pick up a cancer as small as a grain of rice before it’s even able to be felt,” Cancer Institute of NSW deputy CEO Professor Sanchia Aranda said. I consider breast cancer screening time well spent, particularly if it saves your life! Dr Guy Hingston. The Cancer Council WA wants public UV index meters installed in school playgrounds and at popular beaches, parks and sporting grounds to warn of sunburn and skin cancer risks. Australia’s first public UV index meter, which measures solar radiation intensity every minute, was switched on at Deep Water Point in Mt Pleasant this week. The real-time UV index meter, which only recently became possible with new technology, would show when the UV level was above three – the level when people are advised to protect themselves from the sun. Sounds like a good idea – to help people know how much radiation they are receiving from the big radiator in the sky. A paper, published today in the Journal of the National Cancer Institute, shows alcohol intake between a woman’s first period and her first pregnancy – when breast tissue is undergoing rapid growth – is associated with her likelihood of developing breast cancer. Smoking rates in Victoria continue to fall with just 13 per cent of Victorians now smoking regularly and young people turning their back on the habit, new figures show. This means less people will have an early demise due to lung cancer, chronic airways disease, heart attack, stroke, etc. etc. Women who want to avoid breast, ovarian and endometrial cancer should avoid booze and cigarettes, keep their weight low, have children early and avoid oral contraceptives. A breakthrough new tool developed at the National Cancer Institute in the USA released today allows women to predict their absolute risk of developing breast ovarian and endometrial cancer. Dr Guy Hingston. Smokers will be asked to quit their habit before surgery and will be referred for help while on waiting lists under new medical guidelines. In an effort to better protect patients, a strengthened smoking policy from the Australian and New Zealand College of Anesthetists will require all elective surgery patients to be asked whether they smoke, and for tobacco users to be given referrals to help them quit before their operations. ANZCA president Dr Lindy Roberts said the guidelines would offer smokers the best chance to avoid life-threatening complications by providing them with support. Dr Guy Hingston. It was courageous of Angelina Jolie to go public on her bilateral mastectomy & reconstruction, although we are now doing this surgery more often for women who are breast cancer gene (BRCA1 or 2) positive. Preventing breast cancer is much better than trying to cure it! Guy Hingston. Australians are shunning the cancer test that could save their lives with about half those eligible refusing the chance to be screening for bowel, breast and cervical cancer. The latest data shows just 40 per cent of the three million Australians aged over 50 who were sent a free bowel cancer test in the mail completed it in the first five years of the government program. This is despite researchers estimating 20-30 lives per week could be saved by a higher take-up rate. Similarly, only 55 per cent of women are undergoing breast screens and just 57 per cent are having tests for cervical cancer, the Department of Health and Ageing told a Senate estimates committee. Guy Hingston. The Royal Australian College of General Practitioners has just launched the 8th Edition of the Guidelines for Preventive Activities in General Practice (the red book). This is a synthesis of evidence-based guidelines from Australian and international sources and provides recommendations for everyday use in general practice. The red book provides a single entry point to common conditions seen in Australian general practice and offers practical advice on the kind of screening and services that should be provided to the general population. One of the largest breast screening studies in the world found women halve their risk of dying from breast cancer if they are screened regularly. The research involving about 4000 women from the Western Australian BreastScreen program found screening rates were much lower among women who died from breast cancer. The results were similar to studies carried out in South Australia and around the world, according to the study just published in the journal Cancer Epidemiology, Biomarkers and Prevention. By comparing the results with other studies, researchers estimated regular breast screens reduced the risk of death by 49 per cent. The life-saving National Bowel Cancer Screening Program will be expanded under the 2012-13 Budget to provide additional screenings to people aged 60 and 70. The program will receive a $49.7 million boost and be extended to screen Australians turning 60 from 2013 and 70 from 2015. This achieves regular five yearly screening for the at-risk population between 50 and 70 years of age. The program will be further extended in 2017-18, when a phased implementation of biennial screening will commence, beginning with 72 year olds. Invitations to undergo screening every two years will then be progressively extended to all Australians between 50 and 74 years of age. Currently, bowel cancer screening is provided free to people aged 50, 55 and 65. The rate of new lung cancer cases in Australia is raising sharply for women while dropping for men, new government data shows. The report, Lung Cancer in Australia: An overview, was released yesterday by the Australian Health and Welfare Institute and Cancer Australia. It revealed that the rate of new lung cancer diagnoses rose by 72 percent for women but fell by 32 per cent for men between 1982 and 2007.